There is no excuse: if mobile is not at the very core of your digital marketing strategy, it is time to adapt or die. In 2015, Google announced that mobile traffic had overtaken desktop traffic for the first time, and this difference has only continued to increase. In order for your digital marketing strategy to continue to succeed, developing a mobile marketing strategy is crucial. Adapting your digital strategies to mobile, simply means identifying key element of your marketing efforts and introducing these to the mobile device of your users. The mobile app market has reached maturity, and users are more than ready for mobile marketing. So in order for you to be able to fully understand and incorporate this into your strategy, let’s take a look at what mobile marketing is, which tools it uses and how you can use it to increase conversions. Mobile marketing is a series of techniques and formats to promote products and services that use mobile devices as their communication tool. It’s big advantage is that it opens a personal channel between the advertiser and their audience, offering a world of personalization options. Just a few years ago, mobile marketing was considered as a complement to other digital marketing that were targeting desktop users. Nowadays however, this trend has turned itself upside-down, and there is no doubt that mobile is king. The daily average time spent online is of 2 hours and 34 minutes for smartphones and 1h19m for tablets. On average, mobile users download 2 apps a month, have 17.8 already installed and regularly use 9.1. One in every three mobile users frequently use their device as a “second screen” in combination with television. 9 in every 10 smartphone users have used it at some point in a purchasing process (especially those between 16 and 45 years of age). 4 in every 10 have used mobile commerce. The most common issues people have with mobile purchasing is that they would prefer a bigger screen (61%) or lack of trust (33%). Nowadays, users connect more frequently from their smartphones than from their desktops. According to Google, 2015 was the first year in which mobile traffic overtook desktop traffic, and this trend has become so much more than a trend. In the United States, 75.1% of internet users connect from their mobile devices. Most consumers search for holiday events and gift ideas from their smartphones, making mobile marketing a very attractive channel for your holiday campaigns. This is a particularly good option for small and local businesses, as it will interest users to know where they can purchase products or services near them. According to the National Retail Federation’s Holiday 2016 study, American consumers plan to spend an average of 935$ during this year’s holiday shopping season, making it one of the best opportunities for your campaigns and marketing efforts. Let’s take a look a some of the main mobile marketing tools and some recommendations of how to use them in your strategy. Search results on mobile devices are different from on desktop, and Google has already announced their intention to make mobile indexing the main one in the near future. 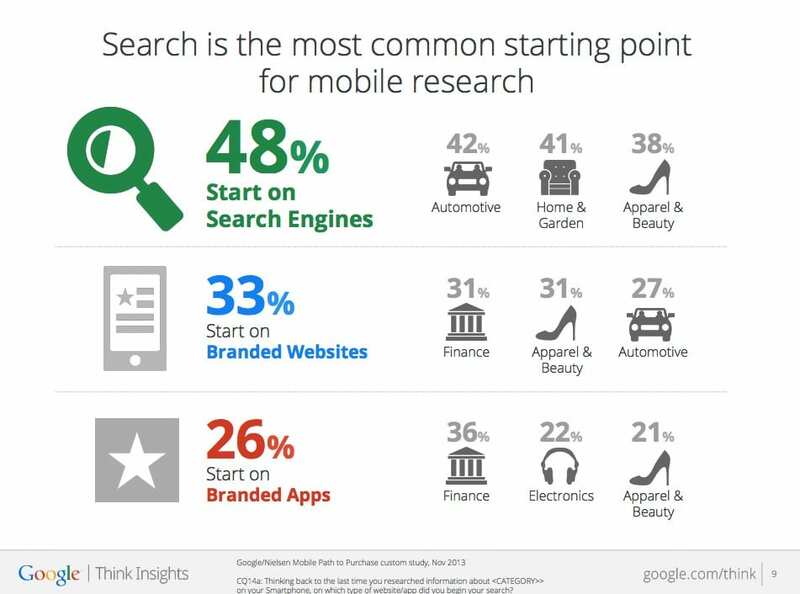 In other words, it is essential to have a specific SEO strategy for mobile. Mobile users do not read as much as users who search from desktop devices, so remember: less is more. Patience is also significantly reduced on mobile devices, so be sure your loading times are as short as they can be. And, of course, prioritize responsive design and usability. The size of the buttons is also very important. Traditional banners are met with increasingly more skepticism and disapproval, and smartphones are no exception to the rise of adblockers. For this reason, it is important to use formats that are less intrusive and offer a better user experience, such as interactive ads, animated banners and videos. Discount coupons are one of those marketing techniques that have been around forever,but, thanks to mobile, they have been completely revolutionized. Thanks to this, email marketing based techniques are more alive than ever. If you do decide to use them, be sure not to forget about responsive templates. Periodically send a newsletter where you summarize the last posts published on your blog, news about your industry, share internal and external videos that might be of interest for your entire customer database, send promotions or offers and let them know of any changes can affect buyers. Geolocation is one of the ways in which mobile marketing has completely revolutionized our way of perceiving advertising. We can now offer users promotions and discounts depending on the physical context in which they find themselves. On the other hand, location-based mobile platforms also offer users the chance to share content based on a certain space or location. The latest exterior digital advertising formats also open many new and exciting doors to encouraging interaction. Text messages (SMS) were the first ever tool to be used in mobile marketing, and yet they still continue to be present and efficient in offering users promotions and information, so don’t forget about them! Responsive, responsive, responsive. I have said it before and i will say it again: a responsive design is imperative for your marketing campaigns to succeed. Remember that you not only have to adapt your webpage, but also the rest of your promotional materials. Create your own app. And when you design it, ask yourself why users should download it… and keep using it 6 months later. Don’t forget about desktop. This may seem contradictory after all I have said in this article, but desktop computers still have a place in marketing place. They are still extremely useful for pre-purchase researching and when users want to take a deeper look at content. Adapt your content to mobile users’ preferences. When we’re out and about, our needs in terms of searching for content change. We don’t really want to stop and read a 3,000 word article - what we need are quick solutions. And we have much smaller screens. So be clear and concise and use short titles. Sign your store up for Google My Business. If you want users to visit your store, you’ll have to show up when they search for you. For that to happen, you need your business to be on the map. It is a very simple process and will immediately improve your traffic from search engines. Add a personal touch. In a world full of content, users need to know you are thinking of them. Here are some quick tips to get closer to your audience: identify each client’s specific needs. Use images and videos, tell stories and create characters for your brand. Include social media in your strategy. Nowadays, the majority of social interactions are produced from mobile devices. On top of it, exclusively mobile social networks, such as Snapchat and Instagram, are becoming extremely successful among users. So there is no excuse not to include them in your marketing for mobile devices. Follow up on your results in real time. There are an incredible amount of metrics and analysis systems at the tips of your fingers - use them! And if you really want to optimize your campaigns, consider A/B testing. There is no excuse: your website has to be prepared to be seen correctly, practically and attractively on screens of all sizes, and the answer to that is being responsive. Last year, Google announced the launch of the new “mobile-first” indexing, which in time will become even the default. Companies without a mobile website are destined for failure, so be sure not to make that mistake! Marketers who have not updated their websites will soon begin to feel the negative effects or their mistake, while those who have already taken this step can focus on the next one: improving the user experience. Focus on improving loading times. Mobile users have much less patience than desktop users, and often use weaker internet connections. Offer the options of logging in of signing up using social profiles, rather than forcing them to create a profile from scratch. This makes it much easier for them to continue with their purchasing process rather than giving up halfway. Mobiles have changed the way we shop. 71% of buyers using loyalty programs use the smartphone to compare prices and 88% say they trust the reviews they read online as well as personal recommendations, these data are drawn from the study "Reality of Retail" by InReality's. For mobile users, the less steps they have to go through, the easier it will be to get them to convert. Which is exactly why big companies are already changing their processes to allow paying by mobile. Mobile purchases are an incredible opportunity to reach out to users at the precise moment when they are ready to buy, with as little distractions as possible. As this tool become more and more popular, in 2017 we will see it become a part of many brands’ mobile marketing plans. If you want to be sure you are doing right by your mobile marketing strategy, my recommendation is definitely to investigate and read up on payment platforms until you find one that offers security as well as simplicity. Technology has impacted the stores, especially mobile, as they have changed the purchase path between users. Create an e-commerce is a good option to retain the most frequent users of online shopping and modernize your image. In order to improve your mobile SEO, the first thing you have to do is to make sure your website is 100% responsive, guaranteeing your design will seamlessly adapt to any kind of device. This will not only benefit your positioning on Google, but it will also avoid your losing clients due to a poorly functioning website. Thanks to tools such as Google AdWords, you can create ads than can be viewed only from mobile devices, allowing you to make the absolute most of their “real time” potential. These kinds of ads are particularly useful for local searches and depend heavily on the context. By clicking on an ad’s image. By calling directly from their smartphones. By messaging you on social media. By seeing offers and placing orders through an app. And if you have a physical store, give them all possible ways to find it! Why just give them an address when you can include a map? Another very important thing to remember of course is that people use a large variety of mobile devices to get online and do their shopping. Make sure your mobile marketing is compatible with different devices and operating systems. Networks such as Instagram, Snapchat and Periscope use mobile to its full potential and create unique opportunities. After their incredible success over the last years, they are not only a side note of marketing strategies, but rather a vital piece to the puzzle. But, as all marketers know, social networks come and social networks go, and although one in particular may seem to be taking over the world today, there is no guarantee that anyone will even remember its name not long after. The trick is not to stick only to the more conservative options, but rather to diversify in order to minimize the risk. And, of course, do not forget to measure and monitor the results from all your social media channels to discover what content really works, and continuously optimize your brand’s communication. If you think SMS are a thing of the past, you couldn’t be more wrong! Using SMS to contact your customers is a good idea and also it’s a least-used system than email that allows us to send a short and precise message. Avenue, a clothing company, has realized two important factors among its female clientele: they love and adore their mobile offerings. For this reason, they have based part of its marketing campaign in sending SMS messages with offers, coupons or to present new trends of the season. Studies seem to show that smartphone users tend to read promotional SMS more frequently than emails. Mobile Marketing campaign via SMS can be one of the best ways to get quick results, especially if you combine them with discount codes or coupons that redirect users to your website. Remember when our parents would cut out coupons from newspapers and magazines to take them to the store? Well, mobile marketing can use this same strategy to attract clients… slightly more conveniently and efficiently! Many companies are rushing to create an application simply because their competitors are. According to a recent study by Gallup, 72% of americans take a look at their smartphones at least once and hour. They spend a very large majority of this time (up to 90%) interacting with apps. If you decide to include a mobile app in your mobile marketing strategy, remember that promoting it properly is essential. Here on our blog you can find a guide to creating your App Marketing Strategy. The effectiveness of mobile marketing depends on whether or not we use it wisely. Start adapting your to mobile, by integrating 3 trends and 3 features into your digital marketing strategies. To know whether or not your efforts are successful and justify your investment in mobile marketing, apply our key mobile marketing metrics into your next marketing evaluation. Big data. In the words of Randy Giusto, vice-president of Outshell, “CMO’s continue drowning themselves in data as they strengthen their marketing and advertising efforts”. We live surrounded by an ever flowing current of information that does not stop growing, but we run the risk of losing sight of the big picture. It is vital to have people on your team that are able to convert this avalanche of data into insights that support and feed your strategy. Dual screen. According to a recent study carried out by IAB Spain, the best time to run mobile ads are… when the users are watching TV! Consumer habits have changed incredibly over the last few years. Now, their attention is divided between various screens and they do not hesitate in simultaneously using their smartphone while engaging in other activities. Take advantage of this trend to offer coherent advertising where the different channels complement each other to achieve maximum impact. New solutions based on Artificial Intelligence allow us to automate our ads, for them to reach further than ever before. No, I don’t mean replacing your team with a team of robots, but to use specialized technology to your advantage to achieve the best results. With this, you will be able to combine multiple variables in an automatic way, and choose the best ones for your objectives with minimum effort; all while your team focuses their efforts on optimizing creativity and strategy. It’s a win-win! Smartphones offer extra information, like the users’ geolocation, for example. This information can give you very interesting insights into your audience, and con even be used as part of the promotion itself, as happens with Snapchat’s Sponsored Geofilters. It’s quite obvious that there are no longer any excuses for your design not to be entirely responsive. But aside from adaptability, remember to keep screen sizes in mind: less is more! Keep in mind that you can also use horizontal formats as well as vertical! Last, but certainly not least: usability is key. When we use our smartphones, we have very limited patience and attention span for loading loading times and buttons that don’t really work, so be sure to take extra good care of your user’s experience. It is so vitally important for your brand to have a mobile marketing strategy that earns them a place in their consumer’s pockets. To know whether or not your efforts are successful and justify your investment in mobile advertising however, you need to fully understand mobile analytics. And so, I would like to talk to you today about the 5 mobile marketing metrics managers need to know. The number of times you app has been installed is perhaps the most obvious indicator of your app marketing strategy’s success. The first step is, naturally, to convince potential users that your app is worth downloading. If you are able to attract a significant amount of downloads, it will generate a type of magnetic effect that will attract even more people. But App Installs is not the only metric you need to pay attention to: keep reading to find out which are the most exact and effective mobile marketing metrics. If you want to know how to increase your number of App Installs, download the Mobile App Marketing eBook. It is a complete guide to mobile marketing strategies. Because of users who download you app but never actually open it, and, as such, never register in it. Because of users who install your app on several devices (on their smartphone and their tablet, for example), but only use one account. All in all, registrations offer a more trustworthy perspective of your app’s real number of users, as opposed to installations. Active Users. Normally, this number is measured over a certain period of time: the most common being daily, weekly and monthly active users. If all of your users were to use your app every day of the month, then your number of daily active users would be the same as your monthly active users.... But alas, real life tends to be slightly more challenging than that. Frequency of use. This metric is very important to measure how much people actually interact with your app. You can also calculate the engagement rate by dividing the daily active users by the monthly active users. For example, if your daily audience is of 100, and your monthly 500, your engagement rate would be 20%, although it is important to keep in mind that this isn’t uniform. Retention Rate. This figure measures the frequency with which users return to use the app again. It is normally measured over a period of time: two days, a week, two weeks or a month. It is very important and particularly relevant for financial planning in mobile marketing. Session Duration. Lastly, you should be paying attention to how much time users spend interacting with your app. The importance of this metric compared to others depends on the kind of app: games or social networks, for example, strive to make sessions longer, whilst booking apps want users’ experiences to be quick and easy. Define KPIs: cost per download, LTV and daily active users. To monitor the performance of your app, you should establish some reviewable KPI's periodically. The first indicator to pay attention to is the cost/download, taking into account all the costs involved in diffusion to obtain a download. Another metric to consider is the Life Time Value (or value of lifetime users), which consists of measuring how much each customer contributes to your margin in the long run, to find patterns of users more and less profitable. Finally, paying attention to the active users that are in daily application will help you identify potential areas for improvement. Average income per user. The most basic of the monetization metrics. Average income per account. Same idea as the last, but in this case measured by account, as opposed to by individual user. Average income per paying user. This tends to be significantly higher than the previous two, as it only takes premium users into account. Lifetime Value (LTV). The average income generated by each user during their lifetime in your app. This is the most important metric to determine an app’s long term profitability; in fact, many mobile marketing strategies fail because their LTVs are lower than their acquisition cost for each user. A user’s average lifetime. Closely related to the LTV, this metric tells us how long users remain active for. The longer we can make it, higher the Lifetime Value will be and higher the chances of monetizing our app. The ASO is the App Store Optimization, or the process of optimizing an application to appear in the top search results on the app stores, and therefore gets more downloads. If you do decide to create an application, it is essential to pay special attention to this point, since over 63% of users downloading smartphone apps are through some of the App Stores. It is essential to work keywords (important to be descriptive and give priority to quality over quantity). You also need to be very careful about the categories in which you introduce your app, since this choice can make the difference between a success and a failure. CPI (Cost Per Installation). It is calculated by dividing the advertising costs by the number of installations achieved. As I mentioned before, the importance of the number of installations is relative, so don’t rely on this metric alone. CAC (Customer Acquisition Cost). It is calculated in the same way as the CPI, but taking into account the number of registrations, as opposed to installations. For this reason, it is a more trustworthy way to know how much it costs to attract new users through advertising. Mobile applications dominate mobile internet usage at 89%. Despite this, Google research shows that mobile web search far exceeds search from within apps in making purchase decisions. This means that although the mobile web accounts for only 11% of mobile internet use, it still holds significant power for advertisers. But the question facing many companies is how to make use of advertising on mobile web?This question comes from two sources: those looking to monetize mobile sites, and marketers looking to profit from mobile ad tech. Below we give our tips on how to make the most of the mobile web opportunity. The mobile web represents a bridge of sorts. It is the connection between the internet used on desktop computers, and the internet we use on smartphone apps. It is both innovative and old school: we use it on mobile technology but its form barely changes from its desktop application. Search engines such as Safari and Chrome represent the opportunity to access the mobile web outside of desktop or apps. They have adapted to smaller screens and provide browsing functionality for smartphone users. Websites have had to respond to soaring mobile traffic to maintain the user experience (UX) and user interface (UI) of mobile sites. For some, this has meant developing apps, but this is not appropriate or applicable for all. Mobile optimized websites are crucial for the UX of those looking at the site. On a mobile-optimized site, the pages adapt to the size of the screen meaning users need not zoom in and out in order to check content. Many large brands and companies are still yet to properly optimize for mobile. It’s essential you make your site mobile-ready to properly realize the gains from mobile advertising. 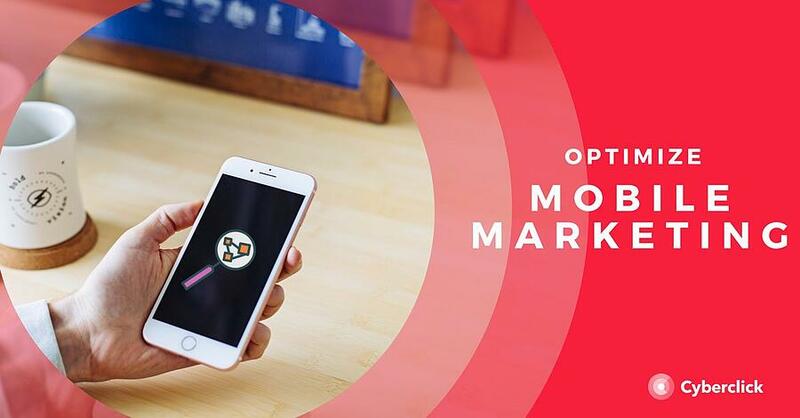 There are a number of options available for marketers looking to use mobile ads. Mobile advertisements are available in all shapes and sizes, and they differ in price and effectiveness. This raises the question: which ones should you choose? Banners are now widely considered both ineffective and irritating and are often intercepted by ad blockers. Luckily, the choice has become clearer in recent years with the growth of mobile native advertising. Simply put, native advertising fits the form and function of a platform and provides a smoother, more enjoyable UX. The 40% higher engagement of native ads demonstrates their potential. Web publishers have a range of formats to choose from. One option is the in-feed unit used for a list of articles. Another, is the in-content unit, which as the name suggests is placed within the content. Native can also be used in irregular places and irregular formats allowing it to fit into non-standardized sizes. Of course, you need to look at the cost/benefit analysis of different ad formats. Native ads can be more costly than banners and interstitials but ultimately their effectiveness outweighs this. Whilst social media apps like Facebook, Twitter and Instagram have become mainstays of the smartphone home screen, their usage on mobile is far from exclusively in-app. Through advertising on platforms like Twitter, you can prosper from the vast volume of traffic on many social media sites. Additionally, you can optimize your campaigns through the extensive targeting capabilities that these provide. And this is not their only advantage. Social media platforms have wholeheartedly embraced native ads. These ads populate the feeds that characterize these platforms and provide an excellent tool for advertising on social media. Overall, the combination of strong traffic and accurate segmentation that is available on social media provides an excellent opportunity for advertisers. Since the mobile web falls somewhere between desktop and apps, it should come as no surprise that your KPIs should also represent a balance between the two. Page views are an important measure since native ads don’t pop up in the same way as interstitials. Tracking on the mobile web works in fundamentally the same way as on desktop, but advertisers need to bear something very important in mind. Mobile is often used for browsing and information gathering but consumers frequently switch to desktop to make the final purchase. A number of indirect performance measures including social media shares and link clicks that can help to shine a light on how frequently people are interacting with your native ads. Ultimately, the measurement process should be a mixture of shares, views and performance metrics. Added together, these illustrate the role that native adverts play on the mobile web.